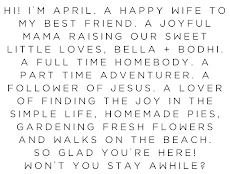 Goodness y'all, I'm so excited for todays blog post. 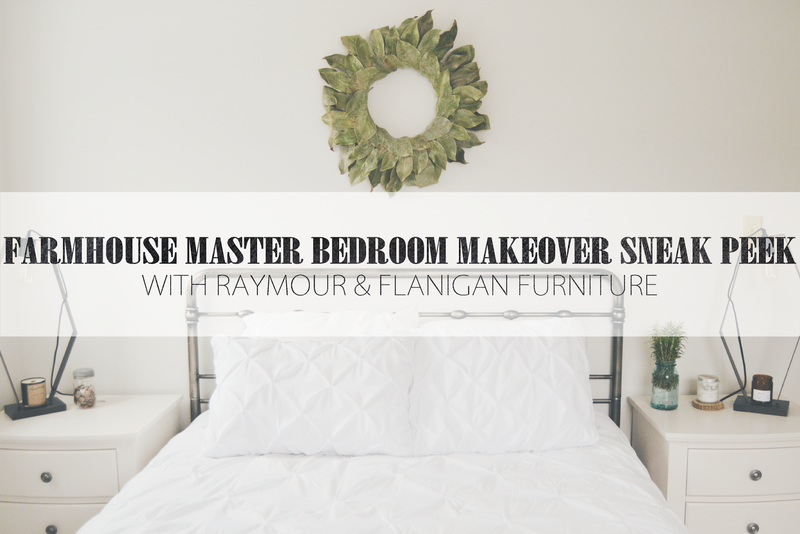 I'm going to be giving you a sneak peek into our newly decorated master bedroom and showing you the style and furniture choices I chose. And of course I'm even more excited for the full master bedroom reveal coming after Christmas. I've been a fan of the farmhouse style since I started watching Joanna Gaines design, decorate and style homes on Fixer Upper (literally the best TV show ever) and our bedroom has also been shall we say, lacking in the design department for quite a long while, so when Raymour & Flanigan reached out to me recently I was so thrilled at the chance to partner with them for this super fun project! Here's a peek below at the style of our bedroom and what I've been working on for the past few months. 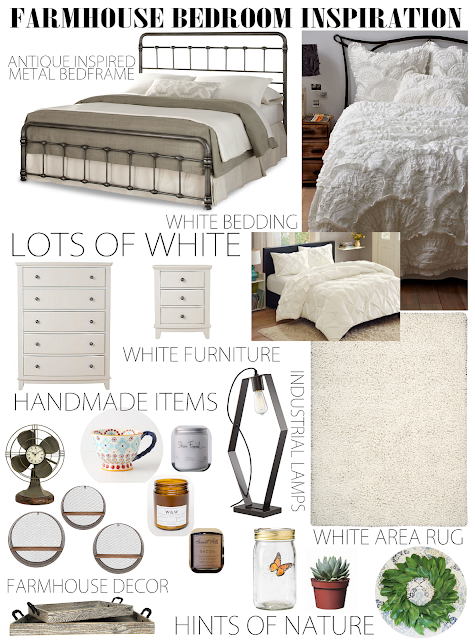 Our bedroom is pretty small as master bedrooms go, so I wanted to keep it light and airy with a lot of white and cream. If you know me at all, you know how much I love all white everything, it really is a problem haha, or not, it just looks so pretty in my opinion, and it also lightens our room up a ton since we don't have a lot of windows and natural light in our home. I immediately fell in love with the simplicity of the Kylie bedroom set, the Kylie Bedroom Chest and the Kylie Nightstands (we chose the 3 drawer option) are the perfect fit for our style and bedroom and you know me, yep, I chose these beauties in the color cream. I also loved the Kylie Bedroom Dresser, but since we have a floor radiator that doesn't accommodate super wide dressers, the Kylie Bedroom Chest (that I mentioned above) was the best fit, literally, haha. I'm also a big lover of rugs, I'm personally not the biggest fan of carpeting, so covering carpeted floors up with pretty rugs is the next best thing to wood floors (though I simply adore rugs on wooden floors as well). This white shag rug is just the prettiest. As far as bedspreads go, I've had this one on my wish list for what seems like forever. I haven't purchased it yet, but it's definitely going to be one of my purchases in the next few months. In the meantime, we're using this pretty pin tuck one! I'm always a fan of antiques, and even though this isn't an antique, it could sure pass for one. This adorable vintage inspired clock fan is the perfect addition to the top of our dresser. I like to keep our decor minimal for the most part and only use items that I absolutely love and this item is becoming one of my favorites. You can even snap the clock part out for a different look, that looks more like an actual vintage fan and I love it! Another antique inspired item I fell in love with was this bedframe from Raymour & Flanigan. I've had my eye on and heart set on a bed frame in this style for so long and was so excited when I spotted this one. It's such great quality, and was seriously easy to put together too! I'm sure you knew this item was going to make it into our bedroom after I mentioned how much I love Joanna Gaines' style. Magnolia wreaths are simply the prettiest, but since at the moment I just couldn't justify spending $100 for a faux magnolia wreath, I started looking around to see what I could find. I found this one, and y'all, it's made from real magnolia leaves! I can't wait to see how the colors change in the natural drying process. Now these matching shelves I'm simply in love with. At first, I wasn't sure how they would look in the room, the last thing I wanted to do was make our room feel crowded, since I was going for cozy. But after my husband and I hung them, I don't think I'm ever going to take them down. They're just so pretty, I added a few simple touches to them, I can't deal with clutter so minimal items works best for me on these shelves. I added a mason jar with a battery operated monarch butterfly (it looks so lifelike, especially when it moves), my favorite (and colorful) mug on another, and a succulent (sitting on a little handmade wood slice) I recently picked up at the store on the middle sized one. Edison lights might have to be my most favorite kind of light bulb, they have such a unique and eclectic look to them, so I was super excited when I spied these hexagonal table lamps at Raymour & Flanigan and immediately knew they were the perfect lamps for our nightstands. I'm a candle and body butter lover for sure, so I have my favorite Holiday candle on my nightstand, and this Bacon scented one on my husband's nightstand. I can never go a day without using my favorite body butter, so it's practically become a part of the decor (sitting on another little wood slice of course). I just love the glass jars that all of these come in and that they actually look nice sitting on our nightstands. And I always love to have either fresh flowers or herbs in a vintage blue mason jar, so this rosemary (that we grew in our garden) is perfect. I felt that I needed a bit more decor, so I snagged this wooden tray set (also from Raymour & Flanigan) and I love that the handles are metal! Something I was not expecting and it was a nice surprise for sure. I'm hoping to have the bedroom completely finished right after Christmas, I'm already so excited to share the full reveal with you all and I know you're going to love it! You have written well and expressed your things in nice way, It is a nice bedroom with a best bed with decorative items, I like the bedroom in this way. Find the beautiful and best quality Wood Bed Frames on Dreamwarehouse.